One of my favorite things about summer is all of the fresh fruits and vegetables that are available. 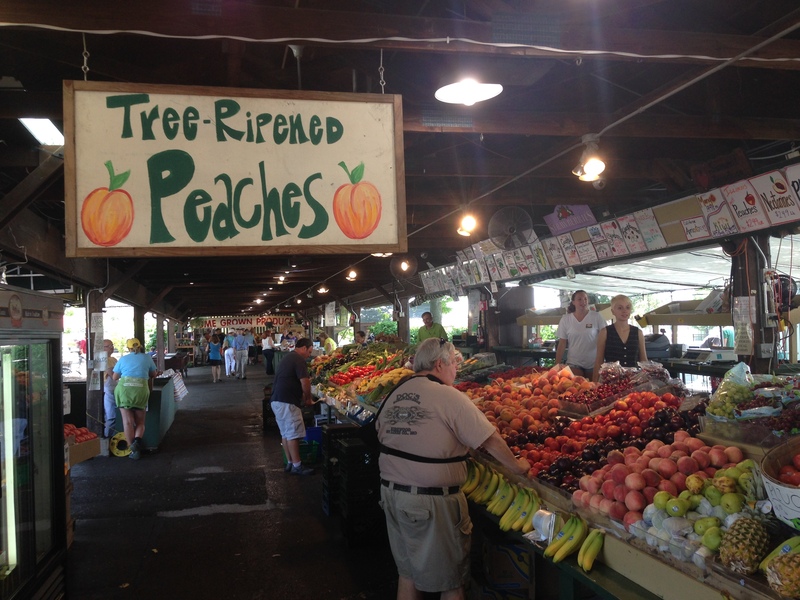 Why not turn your shopping trip into an experience by going to a local farmer’s market? 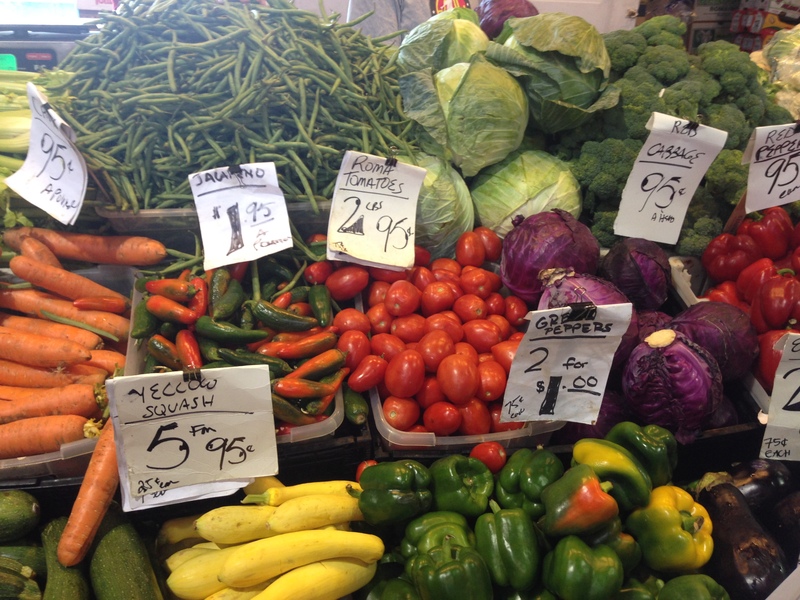 Last weekend I chose to check out four farmer’s markets located around St. Louis. For more information about other markets in the St. Louis area, check out the Missouri Farmer’s Market Directory. 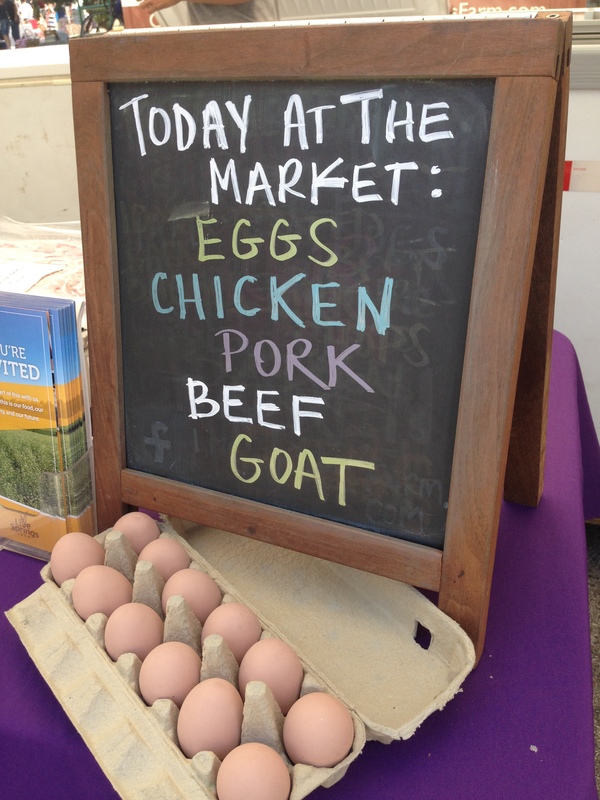 The Tower Grove Farmer’s Market has something for everyone! Local vendors and several independently owned stores set up shop in the park making it a great way to not only pick up produce but also discover new stores located in your own backyard. Whether you want to participate in a free yoga class, enjoy breakfast from food truck while listening to live music, let your kids splash in the fountain, or walk you dog through the market, there is no way to come here and not have a good time. When and Where: Operates Mid-April thru November on Saturday mornings from 8 a.m. to 12 p.m. in Tower Grove Park at 4256 Magnolia Ave.
Best for: Those looking for an experience. The crowds made it tricky to quickly stop by so come down with a plan to spend the morning enjoying the whole event. What they are selling: Produce, flowers, cheese, eggs, and meat products as well as food from locally owned restaurants, bakeries, specialty food shops, and food trucks such as Salume Bedu, Kakao, Companion Bakery, Traveling Tea, and LuLu’s. The Midtown Farmer’s Market, located in University City, is a hidden gem that has been around for years but has recently reinvented itself. The market operates out of several permanent stalls with additional tents set up on Saturday Mornings. When and Where: Located in the Delmar Loop at 6655 Delmar Blvd behind Market Pub restaurant. Open Saturdays from 8 a.m. to 12:30 p.m.
Best for: The shopper that means business. If you are looking for a variety of fresh produce without the bells and whistles, this spot is for you. What they are selling: Produce from local farms, wood carvings, homemade skin care products, and coffee. My Finds: Potato cucumbers grown by Elixer Farms, beautiful multi-colored Zephyr squash, and a box of cherry tomatoes that were so sweet they were eaten up before we made it to our next stop. When you think of a St. Louis farmer’s market, I would guess that Soulard Market is what comes to mind. 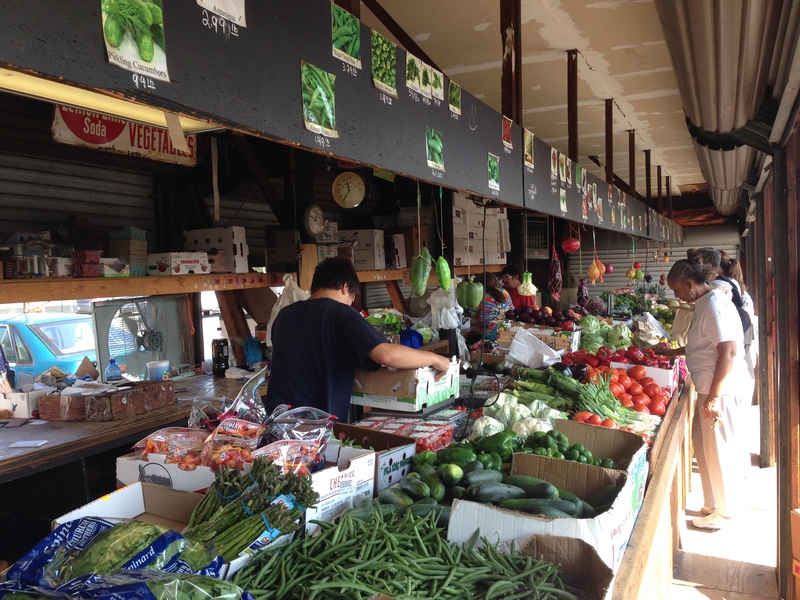 The oldest market west of the Mississippi River has been operating for over 200 years. Soulard Market is unique because the indoor shops and large outdoor halls allow it to remain open throughout the entire year. Of all of the markets I visited, Soulard Market offered the cheapest and widest variety of products. When and Where: Soulard Market, located at 730 Carroll Street, is open Wednesday thru Saturday. Best For: Tourists, people watching, and those looking for cheap or hard to find produce. What they are selling: Produce from local farmers, meat, spices, clothing, health and beauty products, baked goods, flowers, and cocktails to be enjoyed while you shop. Who knew that they also make mini-donuts here? When I think of the words quaint and charming, Kirkwood is the first thing that pops into my head. Located in the center of this tight knit community is a walkable downtown with a train station, locally owned shops and restaurants, and a Farmer’s Market. Whether you live in the community and can walk to the market to pick up your produce or you visit only on occasion, this market’s homey vibe makes you feel like you are part of the Kirkwood community. When and Where: The Kirkwood Farmer’s Market can be found at 150 E Argonne Drive. The market is open daily from April 4 to Sept 27. Visit the market in October for the pumpkin patch and in November and December for the Christmas market. Best for: With easy accessibility and parking, a wide variety of items for sale, and snow cones to keep kids entertained, this market has something to offer for just about anyone. What they are selling: Produce from local farmers as well as large companies such as Driscoll’s and Chiquita, baked goods, meats, cheeses, plants, BBQ, kettle corn, and Tropical Moose snow cones. Be warned though, produce at this stop was the most expensive out of all of the markets that I visited. Don’t forget to follow @myweeklybite on Twitter!